The mask measures approx. 16cm x 8cm and ties with a ribbon. 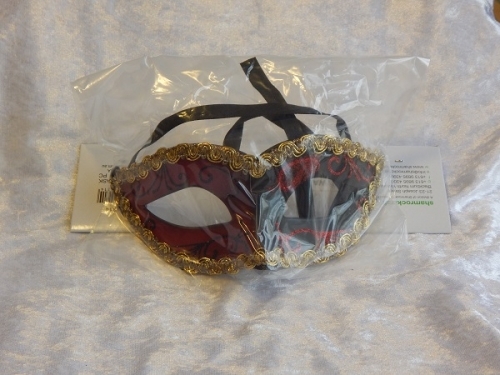 This is a hard moulded mask and not flexible.